P.G. Kent-Snowsell is a barrister with a wide ranging litigation practice, covering everything from contractual and tort litigation to corporate disputes, defamation cases, legal bill disputes, lawyer negligence, and white-collar criminal defence. Mr. Kent-Snowsell also has successfully sued police forces and police officers for excessive force, false arrest, false imprisonment and for personal injuries. Mr. Kent-Snowsell has particular expertise in fee disputes between clients and lawyers and has successfully argued and negotiated cases resulting in the substantial reduction of legal bills to clients of law firms. He has also acted for law firms in disputes about legal fees. With more than thirty years of litigation experience, Mr. Kent-Snowsell has conducted over 100 trials and hearings along with countless appearances in Supreme Court Chambers. 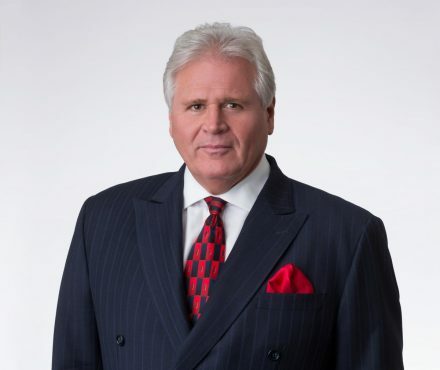 Mr. Kent-Snowsell has appeared as counsel throughout the province, and has appeared before the Alberta Provincial Court, the British Columbia Police Commission, the British Columbia Securities Commission, and the British Columbia Court of Appeal. He has travelled widely to represent his clients’ interests, including to such diverse locations as London, Berlin, Frankfurt, Moscow, Prague, Amsterdam, Los Angeles, Atlanta, Las Vegas, Hong Kong, Bangkok and Singapore. A former Governor and Executive member of the British Columbia Trial Lawyers Association Mr. Kent-Snowsell is also a member of the British Columbia Civil Liberties Association. He is one of only two Canadian lawyers invited to membership in the United States First Amendment Lawyers Association. Mr. Kent-Snowsell maintains membership with the Canadian Bar Association and formerly served as an elected member of the CBA British Columbia Provincial Council for Westminster County and as a member of the CBA Judicial Advisory Committee. For over twenty-five years, he has been a guest lecturer and instructor for the Law Society of British Columbia Bar Admission program, presenting on the subjects of criminal law and the art of cross-examination. Mr. Kent-Snowsell was called to the Bar of British Columbia in 1990, completed the Inns of Court Program, and subsequently studied at the Oxford Institute of Legal Practice, obtaining his qualifications and license to practice as a Solicitor with the Law Society of England and Wales and as a Barrister with Gray’s Inn, London. Outside of the office, Mr. Kent-Snowsell can be found high-altitude mountaineering, Muay Thai training, pursuing his interest in oenology, or supporting his local Vancouver Polo Club. 2000 02 04 BCSC 0214 Rosario v. Gladney et al. 1997 05 01 BCSC 3570 Lawrence v. John B. Pub Ltd.
Blog — View Blog Posts by P.G.